Is Sending Files HIPAA Compliant? Home / About Us / Frequently Asked Questions (FAQs) / Is Sending Files HIPAA Compliant? When new regulations were enacted in the Health Insurance Portability and Accountability Act (HIPAA) in March 2013, some healthcare organizations asked the question “Is sending files HIPAA compliant?” The quick answer is “yes”, but only when certain conditions are fulfilled. 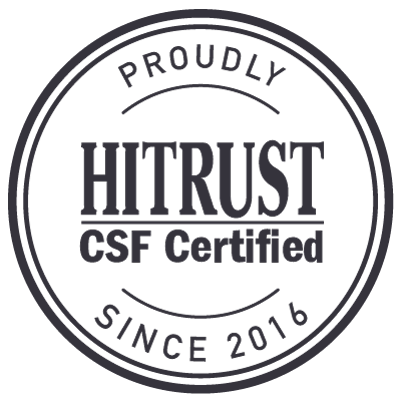 To send files in compliance with HIPAA, the files – such as x-rays, lab results and images of wounds – must be accessed and sent through a secure platform such as secure texting, provided that the text messages themselves are sent in compliance with HIPAA. In order for this to occur, healthcare organizations should implement a mechanism for secure messaging that meets the administrative, physical and technical safeguards included in the HIPAA Security Rule to ensure the integrity of electronic protected health information (ePHI). Once the platform for secure messaging is implemented, healthcare organizations also have a responsibility to produce guidelines for authorized users to access and transmit ePHI. 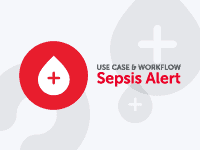 These guidelines should outline when it is appropriate to access ePHI and how it should be transmitted so that the sending of files is HIPAA compliant. Policies for how to send files in compliance with HIPAA are essential; for without them, every other precaution that a healthcare organization has taken to be in compliance with HIPAA could be ineffective, and the same penalties would apply when a breach of ePHI occurs. When all the conditions are met for sending files in a HIPAA compliant manner, there are multiple benefits for healthcare organizations, their employees and their patients. Being able to send files in compliance with HIPAA by secure messaging ensures they are delivered quickly, confirmed by the recipient, and easily accessible for the instant resolution of patient concerns. The El Rio Community Health Center in Tucson, Arizona, implemented TigerConnect’s secure messaging platform to track the calls they were receiving, and ensure they were received and acted upon by physicians when they were forwarded. As a result, staff efficiency increased by 22%, and 95% of patient concerns were answered in 60 seconds or less. 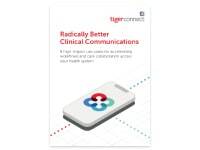 Optimal Health Services in California used TigerConnect’s secure messaging platform to send files in compliance with HIPAA, because many of its employees were home health workers who needed to communicate the symptoms of patients´ illnesses to office-based medical directors. Once sending files in a HIPAA compliant manner was possible, Optimal´s patients received an improved quality of care as home health workers were able to stay in the field for longer. Eagle Hospital Physicians operates across seventeen states and needed a secure messaging solution to resolve the problem of their physicians being situated in multiple locations when patient cases had to be prioritized. Following the implementation of TigerConnect’s secure messaging solution, Eagle´s physicians were able to securely receive messages with file attachments on their personal mobile devices, share PHI between colleagues, and prioritize which cases should receive their immediate attention. 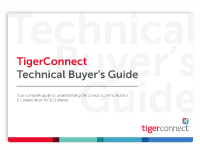 TigerConnect’s secure messaging platform has been implemented in more than 5,000 medical facilities and millions of secure messages containing x-rays, lab results and images of wounds are composed each month. TigerConnect can help other covered entities to send files in compliance with HIPAA – for example when insurance companies process healthcare insurance claims – but it is still necessary for each organization to develop and implement a best practices policy to ensure that sending files is done in a HIPAA compliant manner.